Today's colour pop and post was created by Nicole from The Builder's Wife. What a gorgeous classic ensuite plan. Very elegant! Nicole: I am a big fan of classic styling. Clean lines, with strong colours, and plenty of clean white. Renovating our ensuite is next on the list for our renovation, this colour pop reflects nearly exactly what I’d like our ensuite to look like. While choosing modern fixtures, the classic style of each piece, shows the strong influence of the age of the house. 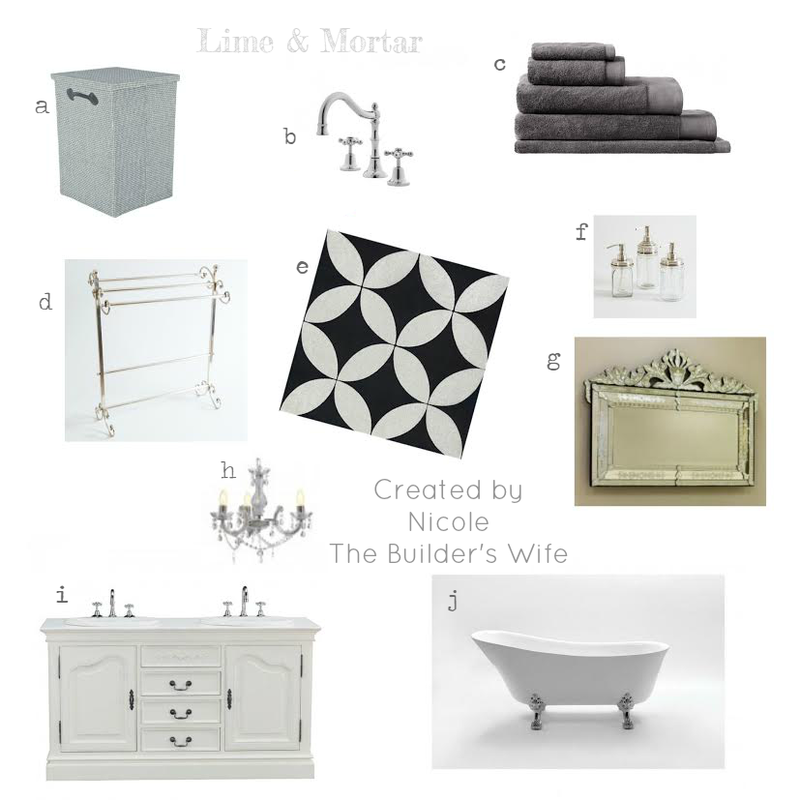 Follow Nicole on her blog, facebook page and instagram to see her ensuite renovation come to life!